Go buy some parts or clothing and look at the tag, made in Vietnam, China, Bangladesh, India, Cambodia etc and that will have to do while their cost is low but when that changes we'll have to find some poorer countries. Go check out China Mart, look at the back of the goods. Oh you don't shop there? Go *bleep* anywhere and look at where it's all made, good luck. Has nothing to do with what country the substance was mined. 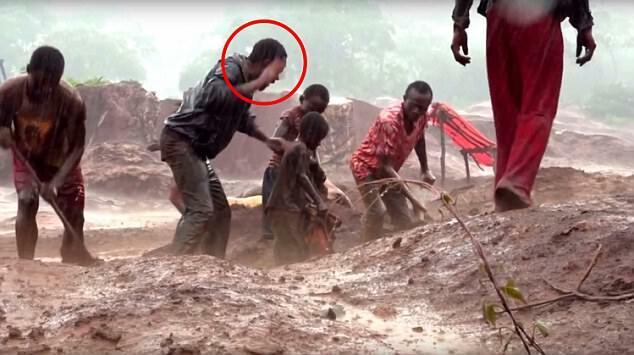 Has everything to do with the health concerns of mining cobalt by children. I for one will buy all my clothes that are made in Banglepoor or wherever. If we all stopped then what would those people do for a job? I wonder what they would say about losing their job because of some myopic dogma from across the pond? But it looks like GF may have hit a sore spot, hmm? Not feeling as warm and fuzzy about "saving the planet"? Hard to watch young children losing years on their life by breathing in the dust? All so the elite can drive around smugly thinking they are doing their part. Sure are. Population control. Good job, congratulations. BTW elite meaning those that can afford the expensive golf carts. Especially if there were no taxpayer subsidies. Just more costs to "working families". NDG slogan. Who's buying a $125,000 Tesla? Elites. That's who. And little kids are dying so they can do 0-100 in 2.5 seconds while sipping Trudeau's Klimate Kool-aid. Life's cheap in Africa, so I don't think the Tesla drivers and their political heroes are concerned at all. Although cobalt is used in electroplating to give objects an attractive surface that resists oxidation, it is more widely used to form alloys. Alnico, an alloy consisting of aluminum, nickel and cobalt is used to make powerful permanent magnets. Stellite alloys, which contain cobalt, chromium and tungsten, are used to make high-speed and high temperature cutting tools and dyes. Cobalt is also used to make alloys for jet engines and gas turbines, magnetic steels and some types of stainless steels. Cobalt-60, a radioactive isotope of cobalt, is an important source of gamma rays and is used to treat some forms of cancer and as a medical tracer. Cobalt-60 has a half-life of 5.27 years and decays into nickel-60 through beta decay. Cobalt compounds have been used for centuries to color porcelain, glass, pottery, tile and enamel. Some of these compounds are known as: cobalt blue, ceruleum, new blue, smalt, cobalt yellow and cobalt green. In addition to being used as a dye, cobalt is also important to human nutrition as it is an essential part of vitamin B12. Nice try Barbara Jones, your bias is showing. You succeeded in manipulating the idiots though. Cobalt mining is nothing new. It didn’t start with electric cars, it is used by everyone here daily whether they realize it or not, and it is certainly not simply a product for elitists. Literally nobody on here cared one iota about cobalt mining children in the DRC until they could try twisting facts to make it into something political against “the left”. The rest can see through your sad desperation and political opportunism at the expense of others. Last edited by Omnitheo on Dec 13th, 2018, 11:58 am, edited 1 time in total. We here in North America are the epicenter of Suzanne Collins the "Hunger Games Trilogy." If we don't believe that North America is the "Capitol" then we are the most naive culture on Earth. Have any of you three posters above read the series? It's might shocking how accurate those two statements are. GF, Pete, did you two ever see my posts about the clothing factory riots in Bangledash and Vietnam? I'll bring those up. In the freaking meantime, the most creepy Christmas song is not Baby, It's Cold Outside, it's "Do they Know it's Christmas Time" aimed at Africans. 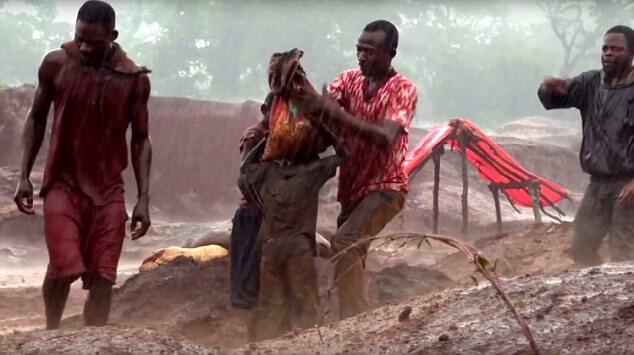 The Congo mines are but one horrific reason for that, how about Blood diamonds? And emptying out the jungles for the bush meat demand in Europe? And killing any animal with ivory attached to it? Due to demand that is. Vast areas land in Africa, under corporate control so that locals can't even grow enough food for selling? But they see a lot of food exported. And the selling of migration seats by people smugglers, selling dreams of a better life IF they can get to Europe, often at the cost of hundreds of dollars. Africa is rift with problems, is it not? So people can have diamonds, exotic food, electric car batteries, ivory, and I didn't even mention the mass export of live animal smuggling for the exotic animal trade. So you want to signal out those elites who can afford electric teslas? Congo needs labour laws, like England and North America got, eventually, at the turn of the century. Africa needs their own Fabian societies to evolve, like they did in England. Social reform was emphasized, especially keeping children in school, not revolution. And before you all freak, consider that all of you are a product of a society in Canada that is part free enterprise and socialism. You do not know any other way unless you've lived elsewhere or opened your eyes when you've travelled. Last edited by Queen K on Dec 13th, 2018, 12:02 pm, edited 1 time in total. Pete Podoski wrote: Who's buying a $125,000 Tesla? The reality is that countries like Canada take a lot more out of Africa than we ever put in. We exploit the land, the resources, the people. And it’s not just about electric vehicles, it is about every day necessities that everyone uses without even thinking about where they came from. It isn’t sustainable though, and this is why it’s inportant to start investing back in so that these nations can catch up to the standards employed elsewhere in the world. First world mining operations instead of third world ones based on child labour. This requires education though. It requires lifting the population out of poverty so that they can work on developing their own nation, for the benefit of the world as a whole. Nice deflection to try and sway the ignorant to your biased agenda, whatever that is. Cobalt has been used in production of high-performance alloys. It can also be used to make rechargeable batteries, and the advent of electric vehicles and their success with consumers probably has a great deal to do with the DRC's soaring production. Exactly right. This is why the UN has come up with the man made climate change hoax.they know the developed countries will never get off that wonderous source of energy and products called oil. And the consequences of its extraction . Why would they? Undeveloped nations burn cattle dung to cook and stay warm while we bathe in the luxury that oil has given us. Many people feel terrible guilt about what is happening. Images and stories like the one in this thread emerge. Wealthy Hollywood stars especially feel guilty because they have so much.. So how can we get developed countries to wean themselves off of oil? What can be done?After much thought and with great motivation , the UN along elitests ike Al Gore and David Suzuki and Trudeau hatch a plan.Lets us all pretend that the use and abuse of oil is destroying the planet.Tell everyone using the media and government that unless we stop using oil we are all doomed. Lay it on thick so we terrify everyone into submission. That the only choice we now have is to create new renewable sources of energy using wind and sunlight. Free energy that everyone on earth can have.Call anyone who goes against this plan heretics and fools. Destroy politicians like President Trump who don't go along. Throw caution to the wind and try to make this energy at any cost. The ends justified the means. And if and when it fails,because really there is nothing like oil,they can all say they tried and this will ease there conscience. They justify their dishonesty and lies because they feel it is the right thing to do. But is it really?All this political turmoil and divisivness and hatred as people start realizing they are being had. That renewable energy is a pipe dream with little chance of success. Billions wasted and certain people becoming wealthy on it. The real solution just might be to start using less fossil fuels and tone down our extravagant life styles.we have enough oil for thousands of years if we use itvwisely and carefully. Oil that could be shared with everyone.oil took millions of years to make. We just need to use less. 97% of the worlds supply of cobalt comes from Africa. Once electric car battery manufacturing takes off, then 70% of the supply goes in to batteries. No one wants cobalt in their lithium batteries anyways, we want to get away from it. So hopefully the race for huge cobalt supplies will be short lived. Saying that, cobalt prices have dropped by 1/3rd recently due to new supplies from the Congo, therefore more kids. Electric cars aren’t yet ready for mainstream. When a battery breakthrough comes, batteries will become cheaper with a higher energy density, less dangerous, lighter, etc, then it’s ready. Right now we have blood cobalt, rather than blood diamonds... and the world seemed upset with blood diamonds. Omnitheo wrote: You succeeded in manipulating the idiots though. . 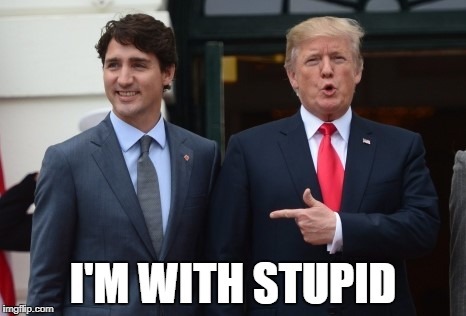 The only idiots being manipulated are the leftist idiots continuing to support tax credits for global elitists milking the deaths of children so that they can blast around in their dirty electric cars. It's just such a disgusting situation, shame on everyone who drives an EV. You truly are monsters. Truly disgusting people taking advantage of children. Just so shameful and disgusting. If you own a Tesla, hang your head in shame. Children are like trees, both are a renewable resource.